The Oak Tree PT Blog brings you Physical Therapy and health & fitness topics, and summaries of discussions in the research literature that catch our interest. We also bring you updates about our Continuing Education seminars. From time to time we insert random thoughts, interesting pictures, and thought-provoking audio. I treated the boss's daughter today, who admitted to playing basketball in three-inch heels! A better story though, is the Nigerian soccer goalie who went to sleep after watching soccer the first night he got ESPN, and injured himself falling out of bed while dreaming he was diving to block a goal! MA Rollers priced to sell! On sale again at TheMARoller.com. No coupon code needed; the discount will be applied upon checkout. Enjoy in robust good health! "In testimony before the the Senate Armed Services Committee in February 2003, General Eric Shinseki [Obama's excellent choice to head the V.A. Administration], the army chief of staff, expressed the view that occupying Iraq might pose a daunting challenge and could require several hundred thousand troops. This departed from the Bush administration's vague but rosy preictions about the war and its aftermath. Shiseki's candor elicited immediate rebukes from Rumsfeld and his deputy. The general's estimate was "wildly off the mark", an obviously annoyed Wolfowitz informed the press. 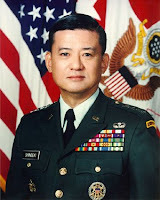 Shinseki became persona non grata and was soon ushered into retirement. Shinseki's fate offered an object lesson to his peers. In Rumsfeld's Pentagon, generals did not ask questions; they did not express independent views, even to Congress; they did as they were told. 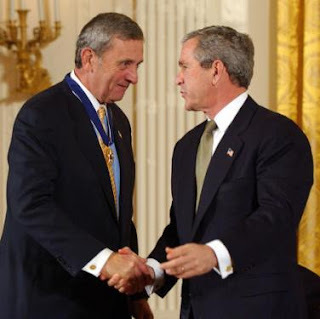 No one got the word quicker than General Tommy Franks, the officer who as commander of the U.S. Central Command planned and implemented the invasion of Afghanistan and Iraq. When it came to pleasing Rumsfeld, Franks was nothing if not eager. 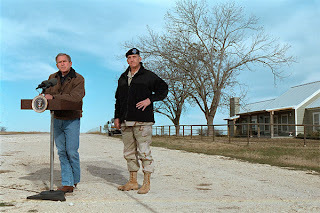 Asked by President Bush prior to the Iraq War to offer his own views, the general replied, "Sir, I think exactly what my secretary thinks, what he's ever thought, whatever he will think, or whatever he thought he might think."" Andrew J. Becevich, The Limits of Power: The End of American Exceptionalism (Holt and Co.; New York, 2008): pp. 98 - 99. Andrew J. Bacevich is a professor of history and international relations at Boston University, retired from the U.S. Army with the rank of colonel. He is the author of The New American Militarism, among other books. His writing has appeared in Foreign Affairs, The Atlantic Monthly, The Nation, The New York Times, The Washington Post, and The Wall Street Journal. He is the recipient of a Lannan award and a member of the Council on Foreign Relations. 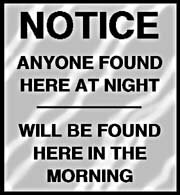 I was in Wal-Mart buying a large bag of Purina for my Labrador Retriever and was in line to check out. A woman behind me asked if I had a dog. On impulse, I told her that no, I was starting The Purina Diet again . . . although I probably shouldn't because I'd ended up in the hospital last time, but I'd lost 50 pounds before I awakened in an intensive care ward with tubes coming out of most of my orifices and IVs in both arms. I told her that it was essentially a perfect diet and that the way that it works is to load your pockets with Purina nuggets and simply eat one or two every time you feel hungry & that the food is nutritionally complete so I was going to try it again. Horrified, she asked if I'd been poisoned and was that why I was in the hospital. I said no . . . I'd been sitting in the street scratching myself behind the ears and a car hit me. It's been a while . . . I hope to get back into the swing. I have to say, though, you spammers killed the forum. It was on its way out anyway: I had hoped to start some actual conversations among Therapists about Therapy-related topics. Nobody was interested, I guess, and so I was going to kill it anyway. The spam postings just hastened its demise. I may try it some other time. I still think it would be exciting to see those conversations going, if anyone has the time or the interest. Massage Therapists have quite a lot of interchange on several sites, but I've never seen anything like it anywhere else for PTs & OTs. We added a new site that features the amazing MA Roller self-massage tool. The MA Roller enables the user to obtain neck & back pain relief by relaxing the paraspinal muscles. Made of solid Rock Maple, the MA Roller works on 3 important acupuncture energy meridians, promoting increased free-flowing chi throughout the body.